New theme of the week - Quilts. Last week's theme was all garments red, so why not another theme this week. I have had a few quilts that have come back from the long arm quilter, they all seem to come back at once! This one is a quilt Meredith started last fall and it sat on the shelf needing one more row completed. She had a charm pack and cut it up in these patterns, I am sure she found the pattern on Pinterest. The quilt sat on the shelf due to the fact, Meredith ran out of charm pack. 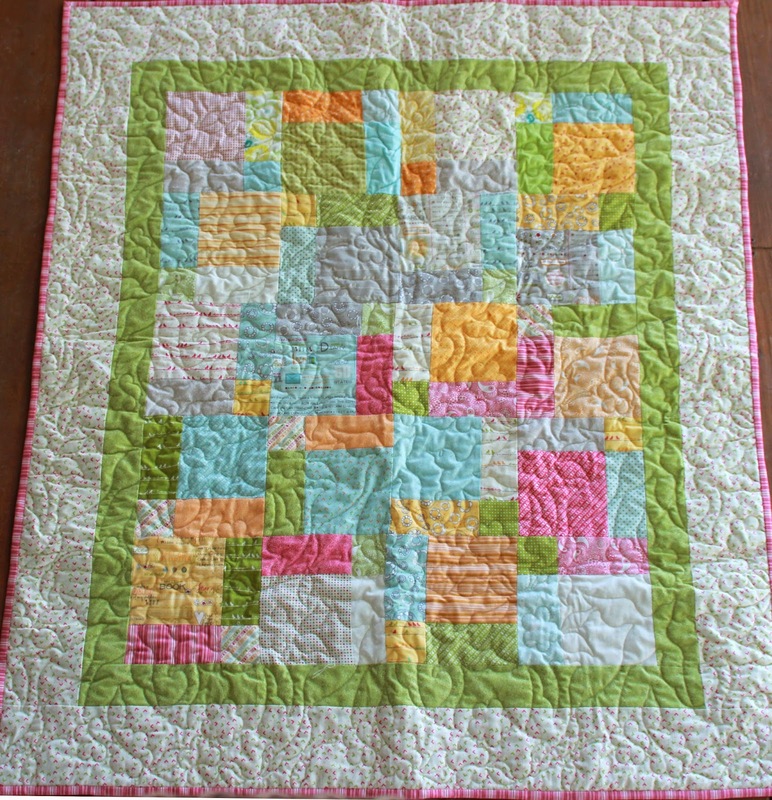 I went through my scraps and found a couple pieces that worked with the charm pack colors and finished the quilt. Thanks to a dear friend we have lots of baby quilt size batting pieces. 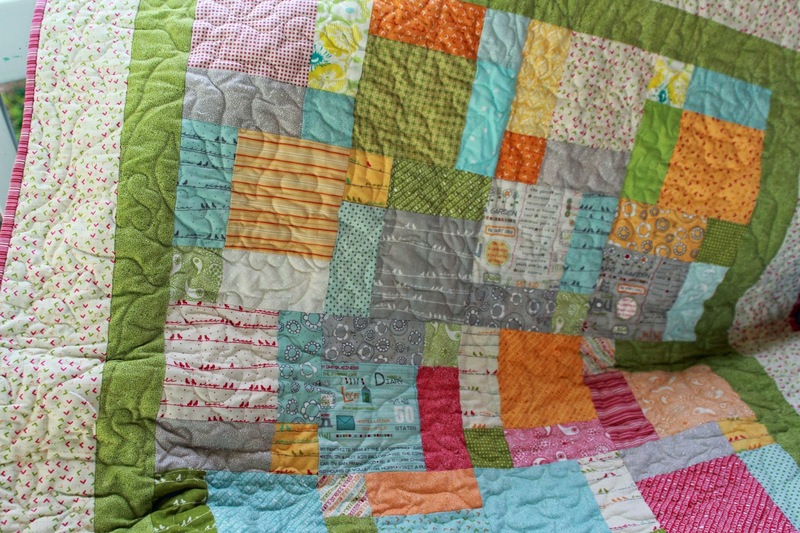 This helps reduce the cost of the quilts and a great way to use up the pieces. As you can tell, this is another baby girl quilt. How many baby boy quilts do I currently have in my closet for gifts? A big fat zero! One is at the longarm quilters, so that is a start.. 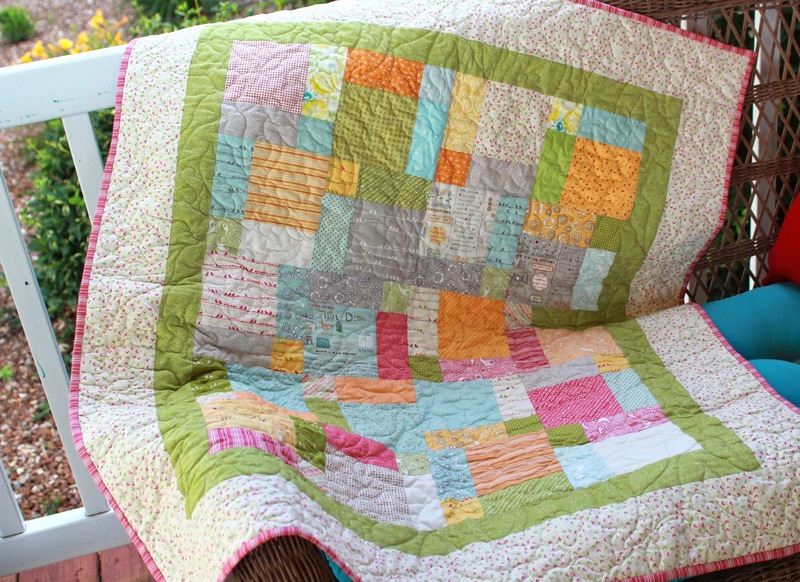 This is another cute little quilt, which is no longer an UFO but a lovely gift waiting for a sweet little baby. Thanks to Meredith for constructing most of this quilt, it took me about an hour to finish it. 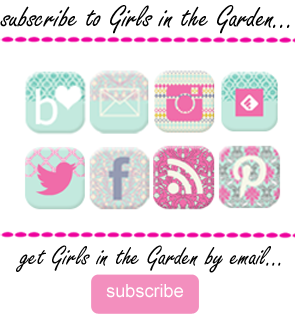 Don't forget to enter my current giveaway, celebrating my 8 years of blogging. Meredith and I have more company in the sewing room. Kaitlyn has decided to do more sewing, which I am thrilled to have more of my girls sewing but leaves us one machine short! LOL. Time to go shopping for another machine? ;) What a beautiful quilt. The baby that receives it will be blessed by it! 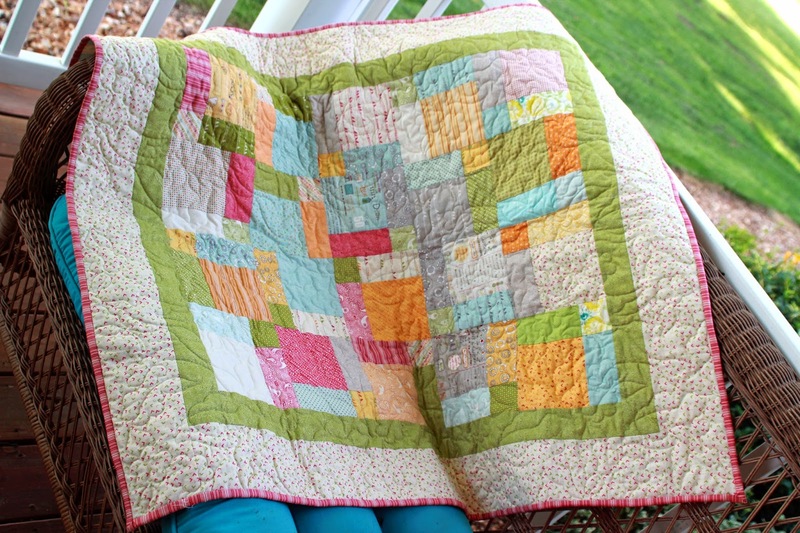 You always make the most adorable quilts. ... lovely colors. Thank you for sharing valuable information. Nice post. I am very impressed to read this post. The whole blog is very nice I found some information here Thanks..Also visit my site cpa requirements Did you know that anyone can call themselves an "accountant"? What are mom's for but to finish up quilts! :) And gosh darn I really need to try quilting - you do such a great job! What a lovely quilt! I really need to start quilting... I have two baby boys to make gifts for and I'm feeling so uninspired!